Beautiful new songs from Scotland in traditional style, including a 15-minute musical version of Robert Burns' poem "Tam O'Shanter" which brings this brilliant poem to life in a new, modern and completely accessible way. The voice of Old Blind Dogs for eight years, Jim Malcolm has been trucking round Scotland and America for two decades, singing his own prizewinning songs about contemporary and historical Scotland, breathing new life into ancient poems and the brilliant songs of Robert Burns, and bringing the traditional songs of Scotland to audiences everywhere. A man of great humour, he has had a whole lot of fun in the process - and so have his audiences. In 2004 he was voted Scotland's Songwriter of the Year (Scots Trad Music Awards) and after this boost began working on an album of new songs, which became Tam O'Shanter & Other Tales. His musical reworking of Burns' poem is the culmination of a decade working on and off putting this epic poem to music, and the results were hailed as a "masterpiece" by critics. Jim Malcolm was brought up in Perthshire and Angus and was steeped in the traditional music of Scotland from an early age. He learned to play guitar while at school and by his early twenties was winning songwriting competitions and playing in folk clubs all over Scotland. Songs from Sconeward have been recorded and are regularly performed by international acts such as The McCalmans and The Poozies, and Jim was asked to give songwriting and song accompaniment masterclasses at many festivals, including Scotland's foremost festival, Celtic Connections in Glasgow. Next up was Rohallion, a collection of Jim's new songs recorded with gifted pianist and fiddler Dave Watt and percussionist Iain MacFadyen. "An intoxicating display of lyrical and musical genius" was how Rock 'n' Reel described the CD, from which Jim's song Battle of Waterloo, to the pipe tune of the same name, was an instant hit. Rohallion consolidated Jim's reputation as one of Scotland's most exciting young folk acts, and brought repeated requests for television and radio appearances. STV broadcast a documentary on Jim and Angus singer Jim Reid for its Artery series, and their singing was featured in the "best of" programme which rounded off the series. He was one of twelve leading Scottish singers who performed Andy Thorburn's epic work Tuath gu Deas, and has featured on volumes four, five and six of Linn Records Complete Songs of Robert Burns, produced by Dr Fred Freeman. In December 2002 Jim released his fourth solo CD, Home, again on Beltane Records, and again it made waves and won over new fans. Jim also sang in the Northern Nights series on Grampian TV and STV. In January 1999 Jim joined one of Scotland's most popular international folk acts, the Old Blind Dogs from north east Scotland, and has since worked with them all over the UK, in France, Spain, Italy, Denmark, Germany, USA, Canada and Bulgaria. His song Battle of Waterloo was recorded on their sixth album, The World's Room. In 2000 Jim released his third solo CD, Resonance, on Beltane Records. It features a collection of his favourite traditional songs alongside four of his own new compositions and some contemporary classics. Lochanside, his composition written to the popular pipe tune, has already been picked up and recorded by several other professional acts. Then came "The Gab o Mey" with Old Blind Dogs, an album to greet the spring of 2003, with which the band toured the USA in spring and autumn. This was Old Blind Dogs' third CD with Jim as lead singer. It joined Fit? and The Worlds Room on Green Linnet's top 10 sellers, and is a gorgeous album, recorded near Aboyne in Aberdeenshire. In November 2003 Jim filled the small but acoustically sound Glenfarg Village Hall to record his first ever live album, in front of family, fans and friends over two nights. He was nervous, all right, but the results were brilliant, capturing the spontaneity of his concerts (though we didn't include the hilarious introductions). "Live in Glenfarg" was released early in 2004 and has been our fastest seller yet. A busy year of touring on both sides of the Atlantic, 2004 finished on a high when Jim won Songwriter of the Year, and Old Blind Dogs won Scottish Folk Band of the Year, at a glittering awards ceremony in Edinburgh in December, all organised by the Scots Trad Music Society. 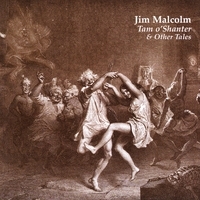 In October 2005 Jim released his fifth solo album, Tam O'Shanter & Other Tales, which includes his epic, 15-minute musical version of Burns' wonderful poem, alongside seven other new songs of his own. Early in 2007 Jim's seventh solo CD, Acquaintance, was released, a lovely collection of mostly well-known Burns songs, with a few less-well-known gems for good measure. And at the beginning of 2009 came his eighth solo CD, The First Cold Day, a wonderful collection of new and old songs marrying the traditions of Scotland with Jim's signature voice. When he's not on the road Jim likes to relax by the riverbank, trying, but rarely succeeding, to catch trout. He likes to read Private Eye, revel in the woes of the Conservative Party, and drink far too much coffee.